An elderly man and woman arrested in Nebraska in December with 60 pounds of assorted marijuana goods the couple claimed were “Christmas presents,” were arrested once again on Tuesday, Jan. 9, in Lancaster County, KOLN reported. 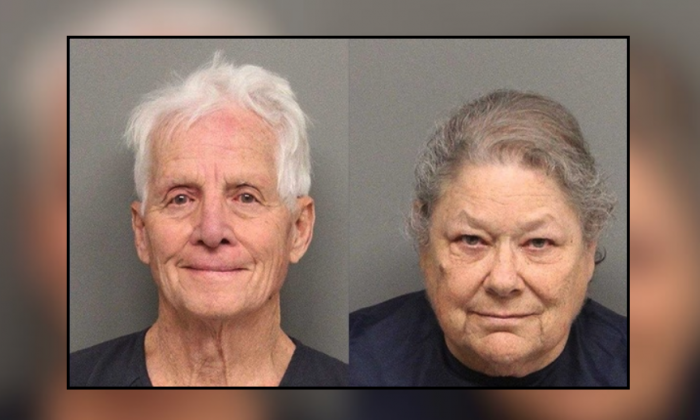 Patrick Jiron, 80, and his wife, Barbara Jiron, 70, were passengers in a vehicle subjected to a traffic stop on Tuesday by Lancaster County Sheriff’s Office deputies. Contact with the couple raised the officer’s suspicions, who ordered a drug-detecting dog deployed. The K-9 detected the presence of marijuana, and a search revealed $18,000 cash and a large bag. Both tested positive for cannabis residue, according to police. The two were detained and booked at the Lancaster County Jail for possession of money “used or intended to be used to facilitate a violation” of laws against controlled substances. They were released on bond and are due to appear in court. The driver, the couple’s daughter, was not detained. In an earlier incident, the Jirons were arrested on Dec. 19 with 60 pounds of assorted marijuana goods with a street value of over $300,000 police said. The pair told police that they were driving cross-country to deliver the pot as gifts for relatives and friends in Vermont and Boston. Burlington Free Press later linked the couple to Chittenden County Chief Deputy State’s Attorney Justin Jiron, who the paper said is their son. In that incident, the prosecutor’s parents were charged with possession of marijuana with intent to deliver and no drug tax stamp. NTD reporter Ivan Pentchoukov contributed to this report.